Summer is good for many things—wearing flowy dresses, keeping the ceiling fan on high, resurrecting the cooler from the basement, and smelling like sunscreen. But one of the best parts of summer is the produce, and eating fresh, ripe peaches is at the tip-top of my list. Peaches are so versatile, too, in all their tangy-sweet glory. Yes, I think it’s safe to say that this juicy fruit is my favorite. Since I’ve been trying to eat them every day while they are in season, here are a few things I’ve come up with. Trader Joe’s used to carry the very best Greek peach yogurt. Sadly, it has been discontinued, so I had to come up with my own plan. Fortunately, this turned out to be even better. Mix together and enjoy immediately. This has become my favorite summer breakfast. Next, thanks to my new favorite thing Pintrest (seriously, it’s awesome) I stumbled upon an idea for a peach salad. And it was amazing! So, here you go. Whisk together the olive oil, lemon juice, salt, and pepper for the dressing. Place the arugula on a plate and top with peaches, tomatoes, and crumbled goat cheese. Drizzle the dressing on top and serve. Oh yes. This is next on my peach to-do list. 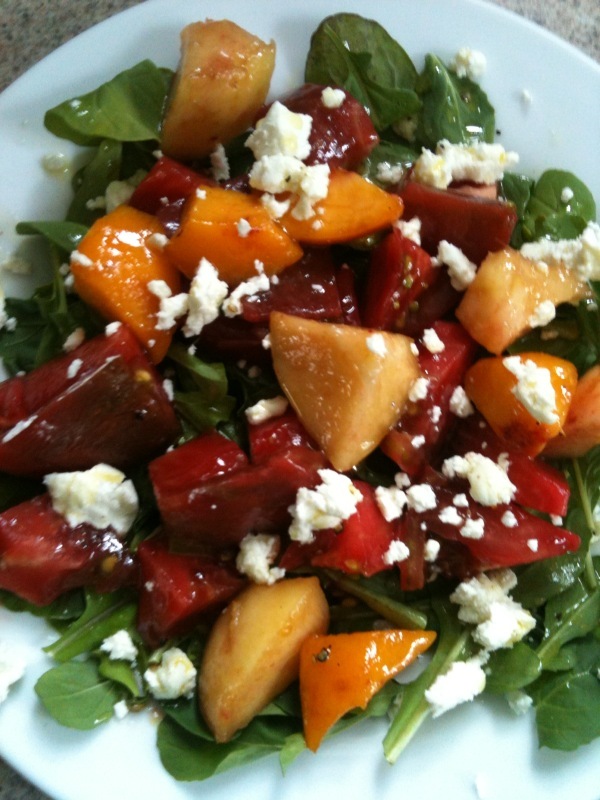 Categories: Recipes | Tags: heirloom tomatoes, marche, peaches, trader joe's | Permalink. 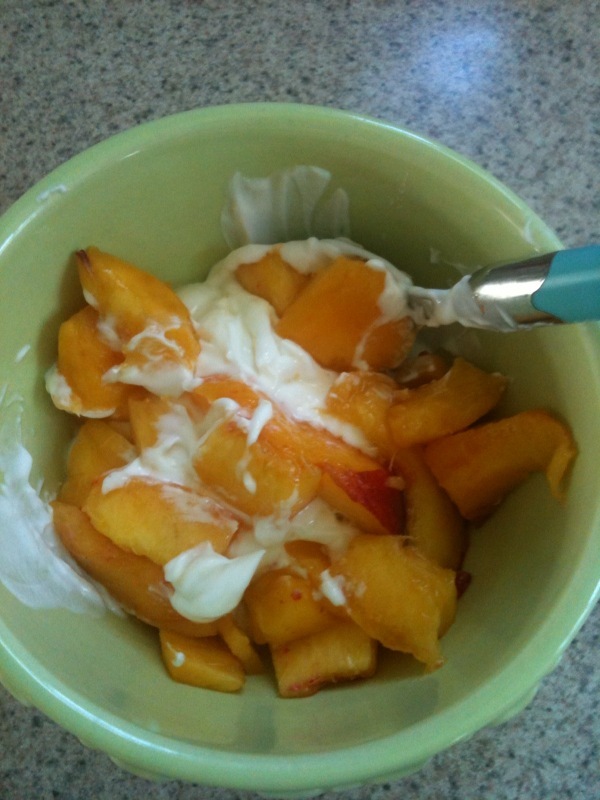 Peaches and yogurt are great. I never would have thought of peaches and tomatoes. 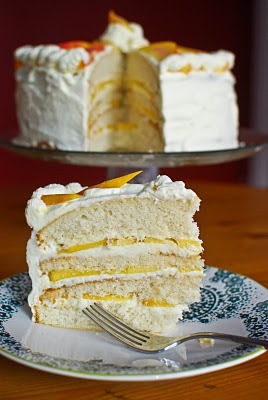 A peach cake sounds scrumptious. I just did a post on a peach and kiwi salsa. It’s that wonderful time of the year and yet so fleeting.